Are you tired of the same old story with ghosts, fey, vampires, shape shifters, and zombies? Looking for something new, you may want to check out Suzi Davis's debut novel of her Lost Magic series called Amber Frost. 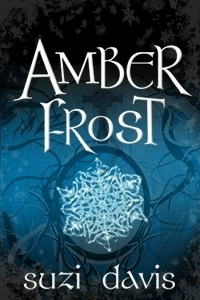 Amber Frost is an entertaining teen love story with a unique paranormal twist. For full disclosure, I received the book from the author in an exchange of an honest review. Description (from book's cover): Grace Lynn Stevenson is an eighteen year old girl who recently moved with her wealthy, but busy parents to a new city. She's popular, pretty and rich - what more could a girl want? But deep down, she's sad, lonely and plagued by nightmares. When she meets Sebastian Caldwood at her new private school, she's inexplicably drawn to him and his strange tattoos. Sebastian always gets what he wants - he simply has to wish it; but he's fighting his own inner demons, and struggling to remember a past that eludes him. When he remembers that he is much older than he looks, he realizes that he's seen many people live and die, including Grace. Once Sebastian realizes his true nature and finds what he has been searching for the past hundreds of years, he also realizes that it is now up to him to protect Grace from the dangers that have plagued them throughout eternity. Review: When I first started reading this book I wondered what the paranormal twist could be. I've read a slew of books in this genre and could guess in less than 20 pages what the paranormal being would be. I must say that Amber Frost kept me on my toes and I was excited to see how it would unfold. Grace started out difficult to like because of her obsession with keeping up appearances. She has become more of a marionette and less of a person, who passively goes through life being unhappy and does very little to change her status quo. Since her first few interactions with Sebastian, she suddenly changed her personality and took charge. While I welcomed the 'new' Grace, her transformation didn't feel genuine at first. I wondered if Sebastian wasn't present, would she would have attempted to resolve and confront her issues with her parents and boyfriend, probably not. After I got over that kink, I managed to warm up to her but to be honest I was more interested in what Sebastian's character was bringing to the plot. At a first glance, Sebastian doesn't seem very different from other love interests in this highly read genre. He is quiet, observant, brooding, distant, and of course handsome. What I think what really sets him apart is his talent and the very fact that he himself has no idea who he is. Sebastian has the ability that allows him to get pretty much whatever he wants just by wishing for it. If he really wants something, he almost always gets it. He just can't remember who he is, or where he came from, but through reoccurring dreams he has a strong feeling that he is very old despite his youthful appearance. He knows there is a lot that he's forgotten and it's not until he finds Grace that he starts to remember again. I really liked the mystery behind Sebastian. For once the characters and readers on the same page trying to search for the hidden truths. Sebastian's ability had me questioning his relationship with Grace and made me wonder if they were really in love or if it was his ability at play. I wondered about free will and what would happen if Grace decides not to be with Sebastian anymore. 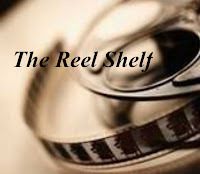 While the plot goes through what seems to be the necessary tropes of the paranormal romance drama, I found myself turning the pages once Sebastian's memory returns. Davis does a great job in adding the suspense into the plot and giving us little clues to grab our attention and whet our appetite. As I learned more about Grace and Sebastian, both apart and together, I began to root for their relationship. What they and I thought was a simple love connection is much more complicated. It's clear that they have strong feelings for one another, but I think their story is just beginning which is evident in the cliffhanger ending. Amber Frost has some great moments, but I felt like the first half of the book moved very slowly due to the overuse of descriptive narrative. Grace's unhappiness got a bit repetitive and the issues with her parents are superfluous to the overall story. I thought the second half of the book was much stronger as Davis dug a little deeper into her characters. but there were parts of this book that left me wanting more. Despite these flaws, I thought the book was an entertaining read and has a great potential in becoming a really good series. I would recommend it for those who are looking for something a bit different in the paranormal romance genre. Words of Caution: There is some violence and mild language. Recommended for Grades 8 and up. I like that the paranormal twist in this one wasn't as easy to figure out and that Sebastian and Grace's relationship seemed to progress at a nice pace. Too bad about the slow beginning, but it sounds like the second half and the mystery with Sebastian made up for a lot of that:) Happy Friday Rummanah! Ha. I always fool myself into believing that I can easily identify what the supernatural element will be, but I'm almost always wrong, possibly because I pretty much stick with my vampires. I wish everything I wished for would magically appear, without the memory loss...or maybe the memory loss wouldn't be such a bad thing after all. Thanks for the review. I hadn't heard of this book before. It's always nice to find a book that stumps you. It seems so rare these days. Grace kind of sounds like she deserves a slap in the face and admittedly, I'm not really into characters who mope about the rediculous and worldly goods. This is mostly due to being 28 and already living things, but I can usually appreciate a character who does such things....to a point. It sounds as if Grace takes it a bit too far and Ms. Davis finally finds her footing in the second half. I think this is one I'll pick up because I'm interesting in the surprise and really....Sebastian sounds epically awesome. He totally reminds me of Evie from that TV show Out Of This World. I loved that movie and it always seemed she got what she wished for, eh?! Oh! I have this on my tbr pile! Sweet! I love having to guess the paranormal aspect and this sounds perfect for me. I'm so glad I already have it. Thanks for the review! The premise sounds interesting and I'm intrigued that the paranormal element isn't one of the Big Three, so keeps you guessing-- I love being surprised by the books I read, so that sounds like a nice reprieve from the too-predictable books I've been reading lately.